“My husband and I have known Attorney Bendick personally for several years. 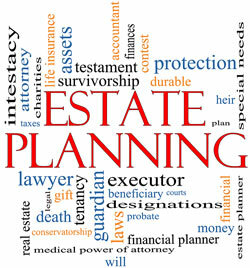 Recently, we needed his services to handle an estate matter regarding an important Real Estate/Trust issue. We are residents in Florida also so other attorneys were involved. Michael handled the matter with the utmost proficiency expediency and professionalism. We would highly recommend Attorney Bendick both personally and certainly professionally. We cannot speak more highly about the integrity and character”. John J. (Jack) & Mary Alice Nice Dallas, PA & Port St. Lucie Fl. I am from Virginia and was referred to Mike through a friend of my cousin. He did a great job laying out all my options in handling my Aunts estate. At first I was going to try to handle it on my own, but I am so glad I chose to hire Mike. He walked me through a difficult process and was worth every penny. He is very knowledgable, has connections in city hall and his communication and follow-up with me was superb. He was also great at dealing with all the personalities in my family, including mine. Thanks Mike! “I want to thank you for the help you gave me with the charging of my deed to my property. I went to other lawyers about changing my deed and all they wanted to do was make up a will for me that I did not need as I already have one. You gave me just want I wanted and was very helpful! Thank you again”.